We are engaged in offering a quality proven range of Mud Flaps. MUD FLAPS OF ALL VEHICLES ON ROAD. Spray Suppression System (3S) Rainflaps consists of unique surface formed by multiple tuffs / grass blades with a strong and sturdy backing. This surface contains the water spray and reduces the pulverization of water thus limiting formation of water spray. It absorbs the kinetic energy and guides the water downwards. 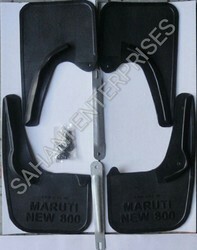 We have earned competency in manufacturing and exporting a wide range of Car Mud Flaps to the customers. We have a team of analysts, which tests Mud Flaps on defined parameters, to ascertain that a qualitative range is offered to the customers. 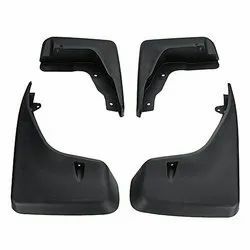 Our client can purchase these Car Mud Flaps from us at market leading prices. For more detail contact us.